Recently, I have been doing a lot of research relative to our Paid Time Off (PTO) policy, and I have found that many employees think that PTO is required and governed by the Department of Labor (DOL). This reference article from the DOL website (below) helped me to clarify the issue. 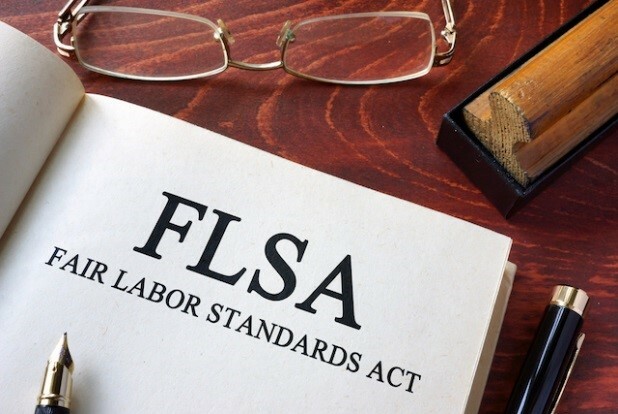 Did you know the FLSA only covers certain types of leave? Here is a link to the DOL page for your reference. What issues are you facing on the topic of PTO? She serves as the 2017-2018 SDA National Vice President. Collect revenue for the state. Make sure businesses within the state are collecting sales tax and in the right amounts. Generate future revenue for the state as businesses becomes compliant. Find out-of-state businesses that may potentially have nexus in-state. Reviewing transactions that are occurring in the marketplace in order to make new tax laws. I would encourage you to see your first audit as a learning experience and remain compliant going forward. You don’t want to have a second audit to find the same errors. That certainly wouldn’t justify or guarantee minimal penalties going forward. What are the rules of thumb during an audit? First, you must understand that the auditor is not a consultant that will help you find ways to minimize the taxes you pay. They work for the Department of Revenue, and they are trained to collect revenue for the state. They look to identify the mistakes (in their opinion) that you make. Have respect for what the auditor is tasked to do and treat him/her accordingly. Provide the required information in an organized manner that will allow them to complete their work as quickly as possible. Afford them a quiet and reasonable place to perform the audit. If you need more time to prepare, ask for it. Make sure they understand how your business operates. For instance the types of services you provide, how your invoicing works, how your exemptions certificates are filed if applicable, and answer other basic question they may have for you. It is crucial that you understand what they are asking for, and don’t give more than information than they are asking for as anything you give them is fair game. Have all the information ready and organized when the auditor arrives. Let them know you are available if they have questions. If you leave, let them know you are leaving and when you will be back. Don’t abandon them and don’t stand over them either. In the event the auditor strikes up a conversation with other employees, advise the employees to direct the auditor’s questions to you. Don’t sign any documents without fully understanding what you are signing. What tips do you have for surviving an audit? Share them in the comment box below. Mariah Railsback of the Minneapolis/St. Paul SDA Chapter has a new role, recently moving from Kodet Architectural Group, LLC. to Cuningham Group Architecture, Inc.
Mariah began in the Architecture world when she joined Kodet Architectural Group in 2015 as the Office Manager/Administrative Assistant. When the company participated in the 2015 Canstruction Minneapolis event, she was introduced to SDA. From there she joined SDA in order to grow her skill set and knowledge as an Administrative Assistant. In late 2016, she joined the SDA Minneapolis/St. Paul Chapter’s Membership Committee. In her new position at Cuningham Group Architecture, Inc., she holds the role of Administrative Assistant and supports the company’s Grow Group which works on Education, Worship, & Non-profit projects. She hopes to grow her own skills and abilities at this new position and push herself to achieve higher goals. Congratulations Mariah on your new endeavor! Know a member on the move? Email the details to SDA Headquarters. We love to celebrate new positions and career advancements!